From customers changing their purchasing habits to new technology changing the way business is done, every company must evolve in a constantly shifting environment in order to stay competitive. The problem: change isn’t always received well throughout an organization. Companies looking for a competitive edge are often challenged by getting and maintaining employee backing. The key to successful change implementation and management: anticipating how well change will be accepted by everyone involved and working to reduce the risk of rejection. Many projects implementing change fail because the risks of rejection are not assessed and considered properly at an early stage. So, what are the risks can you expect when trying to successfully implement change within your organization? Communicate! It is important here to keep everyone informed about the reasons behind the change, why it will be useful, and who is involved.. Communication needs to be structured. It is generally better to start communicating with directors and managers, and then go down the hierarchy. HR resources can be used to identify who is most likely to be less reluctant to the change and thus who is most likely to better communicate the benefits. Participants will eventually understand that change is inevitable. This is when they will get angry, anxious, they will try to negotiate, or even completely reject the idea of changing. 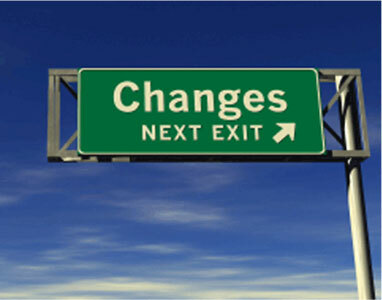 This is the most sensitive phase of a change project as it will also mean that the changing process has begun. Bringing negotiation to a change project allows people who reject it to talk about it and release their frustration. Listening is one of the most important points of every change project. It will help identify what are the main fears or reasons of rejection and thus how to better address them. Participants will eventually accept the change. At this point, they will start using the new procedures and be more open to new methods. Coordinate the teams involved in the change. It is really important to manage the project time table and make sure that all participants of the project go through this phase on a similar schedule. It will be time also to support the participants and to give all the tools and help they need to successfully assimilate the change. Participants will now have completely assimilated the change and will be willing to apply it on a daily basis. Maintain the new change implementation and measure the value-add. Your project will be a success only if you can manage it properly after its implementation. It will also be time to celebrate with everyone who has been involved in the project! A very common example of such an initiative can be seen in any company with a supply chain department running a cost saving project. The earlier these basics of the change management are applied, the better it will be. In such an example, it will also be important to include cross functional teams working with the supply chain department.